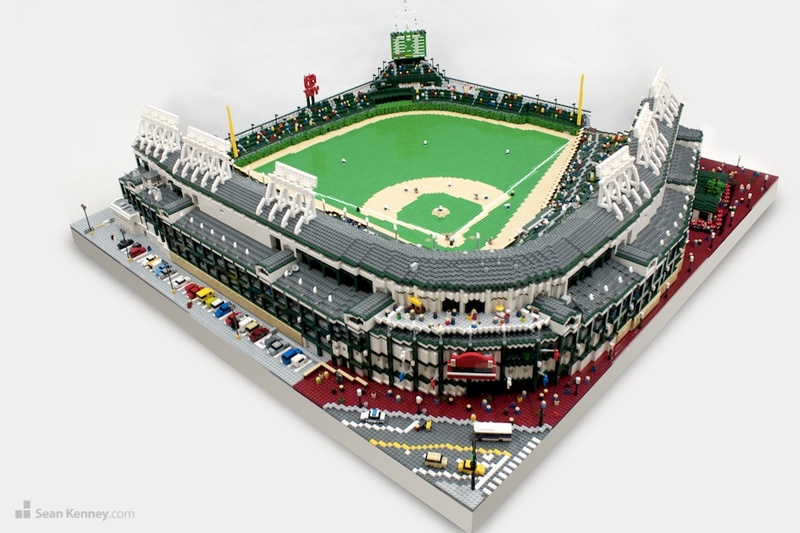 This scale model of Wrigley Field is part of my touring exhibit, Big Leagues Little Bricks, celebrating the beauty and lore of baseball as a part of Americana. The show is on display at the Louisville Slugger Museum now through September 2013. The model is over 5 feet wide, contains 57,960 LEGO pieces, and took 649 hours to build. The invisible man in attendance. The fan with the worst seat. A line of fat guys waiting for hot dogs. Darth and the stormies head off for a pretzel. And of course my little signature brick, buried in the loading dock.